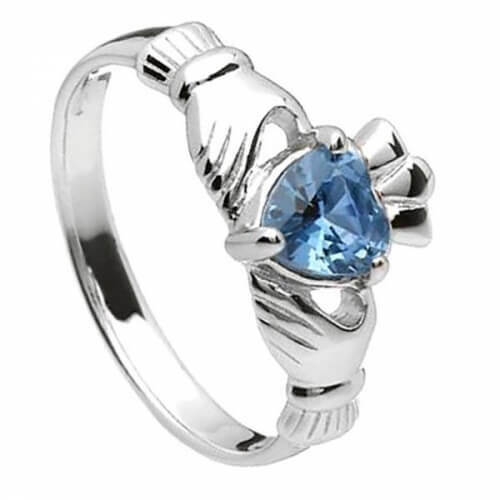 This Claddagh birthstone ring is a great gift for anyone born in December who also appreciates Irish culture. The history of the Claddagh ring dates back over 300 years, and it was originally given as a token of love, friendship, and marriage. The ring is a symbol for friendship (hands), love (heart), and loyalty (crown). When the wearer is engaged or married, they will wear the ring on their left hand pointing away from their body to say that they have given their heart to someone. 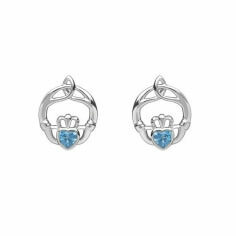 The birthstone for December, a blue topaz, is also very symbolic for the wearer. It is a symbol of love and fidelity. It is believed to cure insanity, asthma, insomnia, and weak vision. 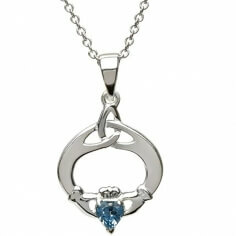 The blue color of the stone also symbolizes stability and harmony.